Receiving pictures and messages from happy customers after they receive the things we made just for them is most definitely one on the best parts of making things for people. I get that warm and fuzzy feeling each and every time… so do do keep them coming! The tops arrived & they are perfect, I love them, thank u so much! Thanks for a positive shopping experience! I just wanted to let you know how much I adore my dress!! I just got the photos from our wedding, and I wanted to send you a few of my favorite shots of the dress! I couldn’t have loved it more- it was so comfortable and beautiful- everything I ever wanted! I simply cannot begin to describe how absolutely, otherworldly gorgeous this dress is! 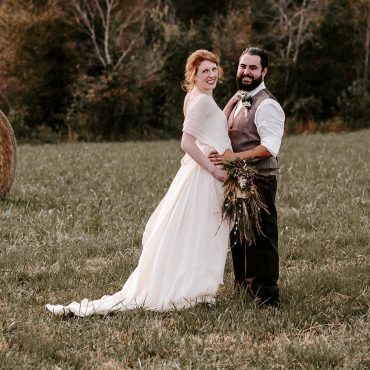 Even in the studio photos it was so stunning that I actually cancelled another custom dress I had ordered just to switch to this one for my special day – and I have no regrets! It fits like a dream and the fabrics are so luxurious and beautiful. 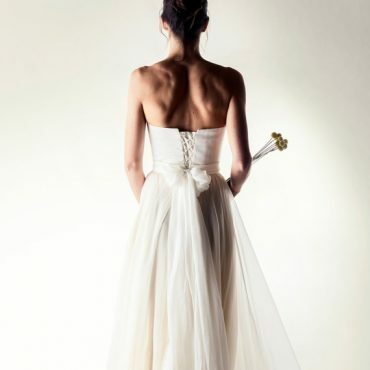 As cheesy as it sounds, I feel like a fairy-tale princess wearing this – surely, what every woman should feel like in her dream wedding dress! 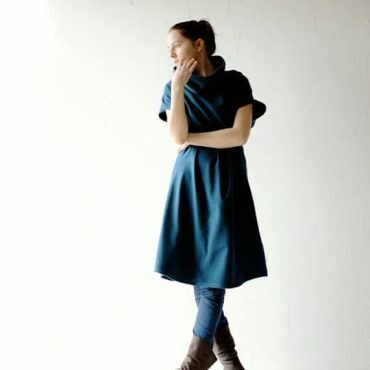 It looks lovely with the sleeves up and down, ideal for temperature changes. 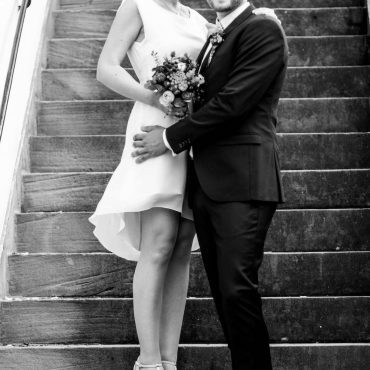 Maria Lucia’s service was exemplary – it was such a joy working with her on customising this and making my dream dress come true. Delivery was very fast & arrived months early! 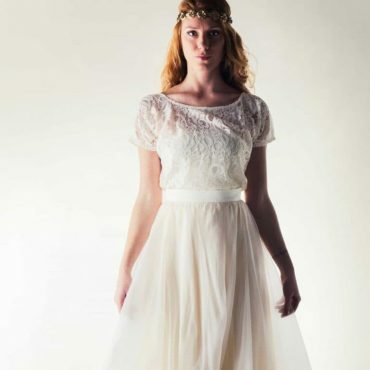 I cannot wait to wear this stunning creation at our woodland countryside wedding in June! I am really happy with how my wedding cardigan turned out. Lucia was able to make a plus sized cardigan for me roughly based on my measurements and it is fabulous! Beautifully made top. Clean simple lines and so very versatile. I got the coal grey and am getting a couple more. Just love this top it fits perfectly. Thank you Maria Lucia! Absolutely beautiful! I can’t wait to wear for my wedding. 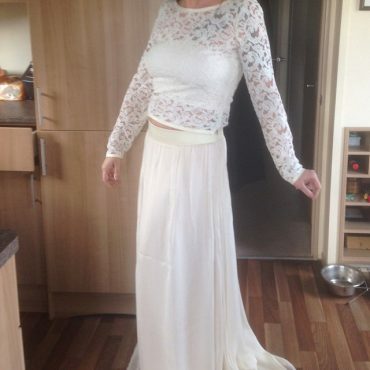 Thank you, the dress fits very well, it is exactly as described and pictured and delivered fast. Will definitely buy again. Modèle très sympa et agréable à porter. Sa coupe s’adapte très bien car on la règle soi-même. Testée dans un bal où j’ai beaucoup dansé : léger, et très féminin ! Je l’adore ! Thank you so much Lucia!! 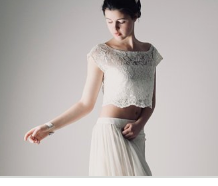 This Larimeloom bridal top is perfect! Exactly how I dreamed it would be. Can wait to use it on my big day! Lucia was so helpful and her craftsmanship is definitely a 5 star!! Thanks! Thank you for my dream dress! Already when I saw it on your website a few years ago, I knew: this is MY dress! And when I received the marriage proposal, I was glad that I had memorized your website. 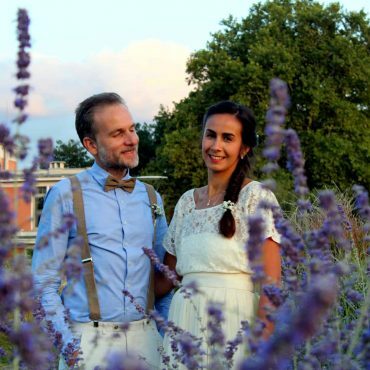 Our little secret: I was already pregnant at the wedding day, but we did not want to tell anyone so early. The dress has wonderful hidden the little belly and I just felt completely comfortable that day. Long skirt off, I was just wearing a knee length dress. Thank you for being so awesome! Everyone loved my dress. It was perfect, beautiful material, flowed angelically, felt comfortable and everyone loved it! My beautiful skirt worked perfectly over my short dress that was made. It was perfect for our outdoor affair. It was so perfect! My short dress was a perfect transition from my long skirt that I wore over it! Loved everything about my perfect wedding dress. Thank you!!!! The material was all so beautiful. Fine silks. She is amazing and her designs are always done with quality fabric and her precision with measurements is exact! She wastes no time getting them to you…even though they are coming from Italy..I can order on a Monday and get them by Friday-amazing!! The dress was exactly what I wanted. The attention to detail and fabric was just amazing. The rust-colored dip-dye was fabulous. I strongly recommend this artisan dressmaker. 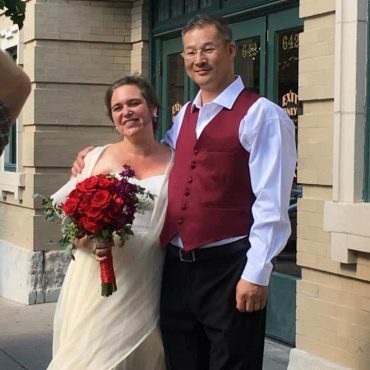 In addition, Lucia went above and beyond what was needed after it became apparent that Fedex lost the original wedding dress a few weeks before the wedding. 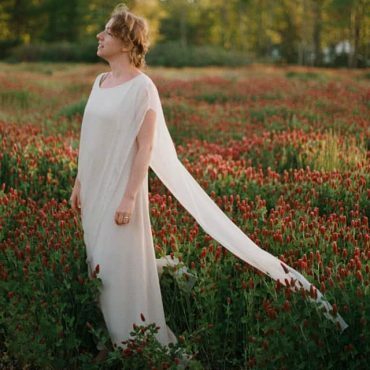 She made and sent another dress, on her own dime, just days before the wedding. She made absolute certain that I had something beautiful to wear that was close to my original dress for which I am eternally grateful. Thankfully, the original dress, which Fedex noted was lost, showed up the day before the wedding and I was able to wear it. In sum, she is conscientious and a great dressmaker. A great combination to work with! Thank you so much for being a part of what made my wedding so beautiful and special. You were a very good advisor and eventually the perfect skirt came out. The material is of highest quality. Simple, still beautiful just as I wished it to be. Also you changed the skirt so it would make the best impression on me. It all worked our perfectly. 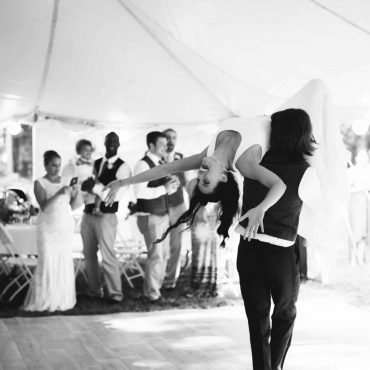 People like you are essential for a perfect wedding! 🙂 Thank you! The shop owner is fantastic: I had doubts about the color (to match this bolero with a dress I already had) and she gave me advices and proposed some arrangements, always taking pictures of everything to be sure I would get what I wanted. She worked so that it would arrive in time for the wedding ceremony where I was supposed to use the bolero and so it was! From Italy to Japan. 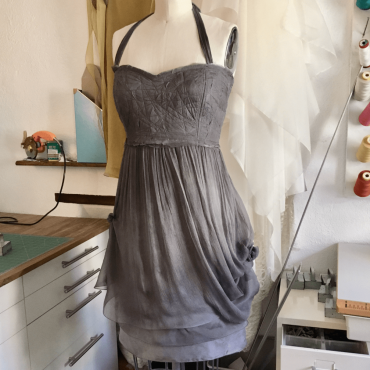 The object quality is perfect, beautifully handmade, the color was exactly ad it matched the dress as I hoped: I truly love it and I’ll use it with other dresses too. I’ll purchase again from here. Thank you so much! Love love love this top! It fit perfectly and was way better than I expected! Shipping was fast and communication was good every step of the way. This skirt is so beautiful, it feels fantastic on and fits great. I was a little worried the orange would be too orange, but it’s a lovely subtle shade of burnt orange. I absolutely love this dress and it arrived just as beautiful and well designed as I had hoped. So much care was put into the packaging, which is going to be awesome when it comes to photo memories of the wedding preparation. The dress was finished and arrived at exactly the time I was told I would receive it, and It fits me perfectly! I couldn’t have asked for a better experience and I am looking forward to wearing something I can be sure is one of a kind! The fabric and colour is elegant, luxurious, still down to Earth and sensual. Cette robe fait sur mesure est juste parfaite!!! Très ravie de mon achat, une créatrice très à l’écoute et qui répond rapidement à toutes mes interrogations. Beautiful dress, fits perfectly and a first class very personal service. In bocca al lupo per il tuo trasferimento, anche io mi trasferirò a breve in Olanda. 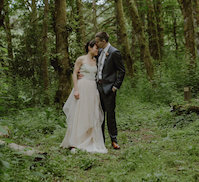 I have sent a few photos to you from our wedding on June the 9th. I tried to pick some where THE BEAUTIFUL DRESS shows in its glory. I am very grateful that I found you and this lovely creation for my wedding day. You were so helpful and changed it to match my measurements. It came out perfect. The Dress was the one for me, just as I knew the moment I saw it on your Etsy shop. I was elfin-like my friends said, and I can assure you I have never been described like that before. It was The Dress. 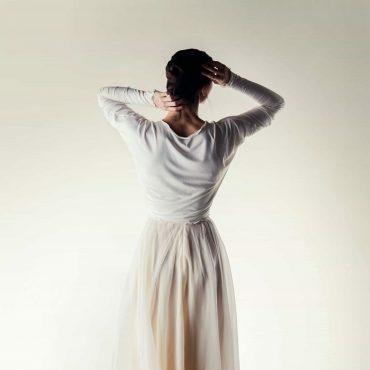 I have no words to describe the softness and the feel and the colour of the silk. It’s like made in heaven. 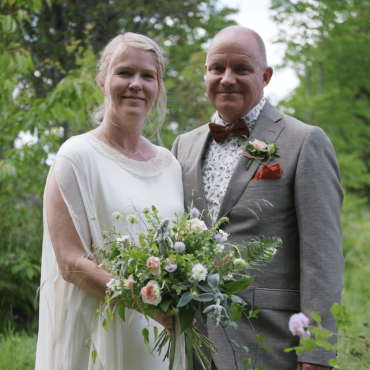 Our wedding took place in a tiny village in the middle of beautiful woodland, Tivedstorp. The village is from the 17th Century and is now a popular youth hostel. In the pastures you can see cows, horses and sheep. 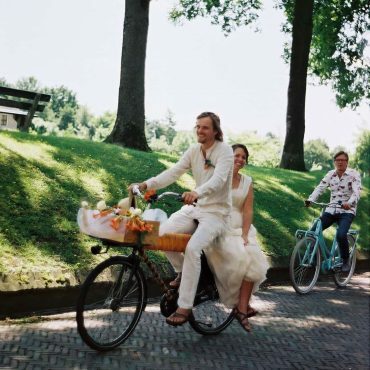 It’s a fantasic place to be and a fairytale-like place to celebrate a wedding!! 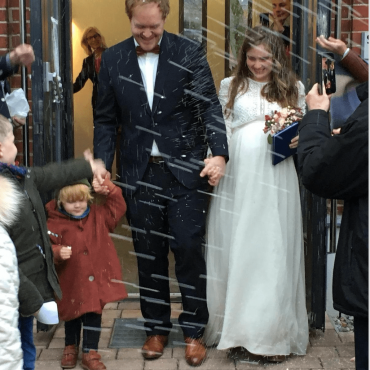 Lucia – thankyou from the bottom of my heart. Keep up your great craftmanship and keep using these amazing high quality material!! Lucia was very helpful before I placed my order. My first message to her was April 22 and by May 9, I received this beautiful custom order dress! The dress is very beautiful and well made. All the seams are finished (no stray threads like some of my commercial brand purchases) and the dress sits beautifully on me. It looks different on me than on the model but in a very good way! Lucia really knows her craft. I am pear shaped with a more athletic build. The wide neckline is flattering with my collar and shoulders and the ties help accentuate my waist. I can tie the ribbons in front or in the back for different looks. This is honestly a perfect dress for my courthouse civil ceremony. The dress is chic and versatile that I can style it for future events. This dress is absolutely gorgeous! I love it! It manages to be elegant without being overly formal. It feels unique, classy, and perhaps vintage. I feel very comfortable in it. The fabrics are beautiful and very warm in tone. Much better for me than a traditional white gown. Lucia was great and she worked with me to make changes to the dress that made it just right for me. She provided options in response to my description of what I wanted. I felt confident that she was being honest about what would work and what wouldn’t and that was comforting. She even got out fabric and tried it on the mannequin she works on one evening and was able to let me know which fabric would drape best. We changed the back to a corset for comfort and added the Papavar “sleeves” which I love! The fit is perfect. I don’t need any alterations. She boned the top so I don’t have to wear a bra and she made the skirt a bit of an a-line to make more room for body spots that aren’t as flat as the model. It’s easy to move in with the length adjusted to hit just above the floor in the front and then with more drape in the back. 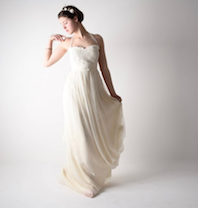 The organza adds lovely flow and elegance without being poofy or heavy. I can’t say enough good things about this dress. It looks great with the sand colored wedding cardigan! I hope you are well. I didn’t have the chance yet to thank you for the beautiful dress. I loved it and it was really ME! Everything went ok and the pockets were really useful. I am just sending you a quick picture but still waiting for the photographers photos. If you need and want, I can send you more but I did not take picture just for the dress. The day went really fast with a lot of things we forgot unfortunately. But the most important is that the dress was perfect and everything went well! So thank you again and I wish you a happy summer. Our wedding was the best wedding ever.. I guess everybody must say this, but it was a perfect day. The weather was the best, only one sunny day that week in Holland, so we were in luck! 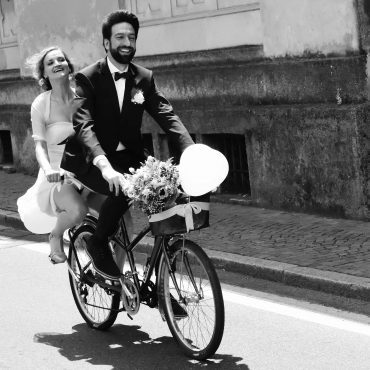 Our bike ride to the wedding ceremony went as planned and the dress held itself beautifully on the back of the bike. I had so many compliments and everybody kept saying they had never seen anything like my dress, in a good way! 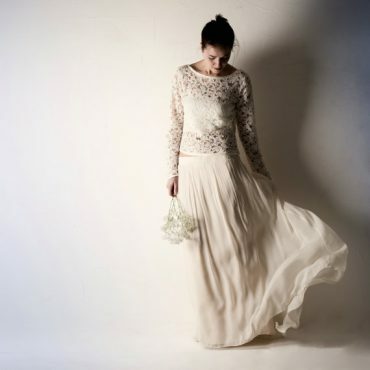 I can’t begin to say how happy we (bride and mother of the bride) are with this lovely, simply elegant wedding dress. 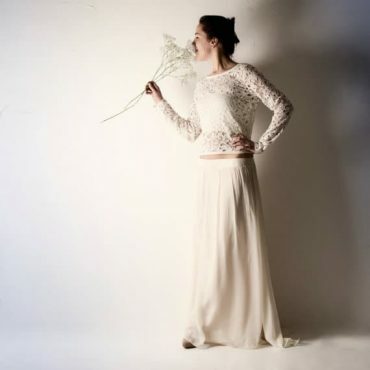 I was a little hesitant to order from overseas (we are in USA), but the entire purchase from communication before we purchased, to providing measurements for customization, to completing the dress timely, and then promptly shipping–all went well. If you like what you see, I highly recommend Lucia at Larimeloom. The product is as pictured and truly beautiful. 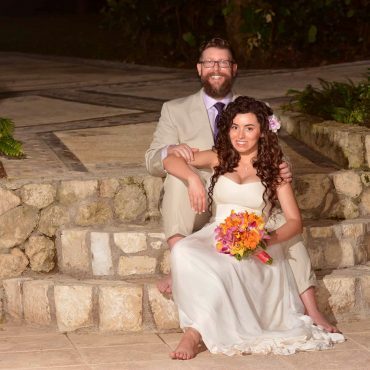 Don’t be fooled by another cheaper site that uses this same picture…we started this way, but canceled that order when a preshipment photo of the actual dress, supposedly custom made, was clearly inferior. If I could, I would give larimeloom 10 stars!!! This cardigan was as beautiful in person as it was in the photograph. Very well-made and the fabric was very very nice. I also ordered a custom wrap cardigan and it was equally as beautiful and she made it to my measurements, which for slightly larger measurements, and it fit perfectly! I highly recommend!!!!!. So happy with my purchase. The top was made to measure and fits brilliantly. I have lost a few cm’s since first placing my order so I will need to get the top taken in before my wedding but that was to be expected. Love this top and will happily wear it again and again! 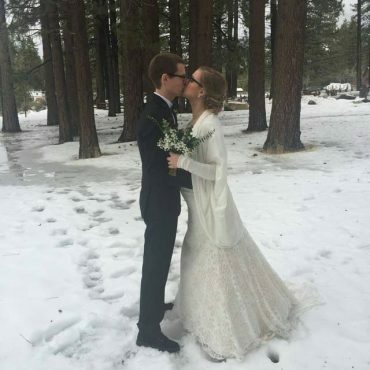 Worked perfectly for our winter wedding! It was comfortable, surprisingly warm, and matched my dress beautifully. È stato un piacere acquistare il mio vestito da sposa da Lucia! È stata perfettamente in grado di creare il vestito dei miei sogni, solo con le mie misure e qualche foto di me. Il vestito è arrivato impacchettato graziosamente. Grazie Lucia, sei una vera artista!! This is my first item from this shop, but it won’t be my last! The color is rich and saturated in person, and it is very comfortable while remaining stylish. One of the most beautiful garments I own! I had it tailored to my size. The shop owner is very kind and the top is gorgeous. I truly can’t say enough good things! Photographer cooed that she’d never seen a dress like mine before. Endless compliments from guests. It fit perfectly, and unstructured enough I didn’t have to fuss over my diet for months. I skipped the belt, finding I ending up preferring it without though the belt is just lovely. Ordering process and communication were seamless, and the dress itself arrived in a beautiful box on time. What else can I say? It was a perfect dress and I am so happy with my purchase. So nice on a wedding dress! The cut of the cape is great and the materials (wool and silk) are in very good quality. 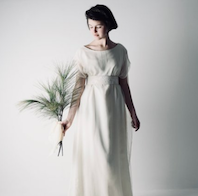 Maria Lucia crafted my wedding dress very sensitively, using all given infos and measurements to produce a garment that felt like it was made just for me ? Beautiful skirt and well made to my specific size! Thank you! so glad I found this shop and will definitely buy again! 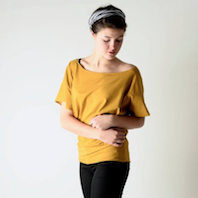 Lucia’s clothes are so beautiful and comfortable that I couldn’t just buy this one top! I had to buy more! Her tops are great, and I am in love with the super comfy harem pants! Thank you!!! This dress is as beautiful in person as it is in the photos! It is very well made and fits perfectly. My cardigan arrived this morning and I just wanted to say how pleased I am with it. 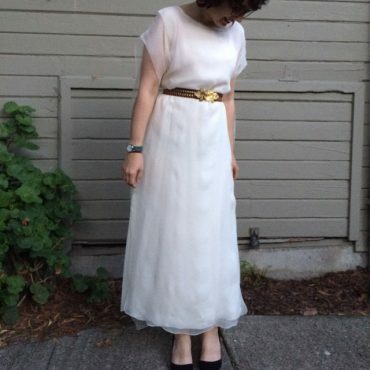 I tried it with my wedding dress and it looks gorgeous, I am so pleased. The quality is great and I just wanted to say a huge thank you. I will be recommending you to everyone. come stai? 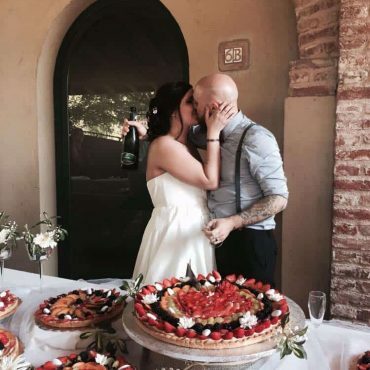 Dopo mesi finalmente ci sono arrivate alcune foto del matrimonio, volevo ancora ringraziarti per l’abito meraviglioso. Da sempre lo desideravo così, hai realizzato un sogno! Beautiful dress. It fits perfectly. Great quality material and stitching. And Maria worked patiently with me on many custom requests. Thank you! I just wanted you to know that the dress arrived! Larimeloom was extremely helpful and responsive to all my many questions and concerns. She did a custom version of the dress and it turned out beautifully. I just got the dress tonight – immediately put it on. ITS BEAUTIFUL!!! Everything I could have dreamed of and more. You truly have an amazing gift. I’ll be sure to leave you a review and will definitely send you pictures next year after the big day. 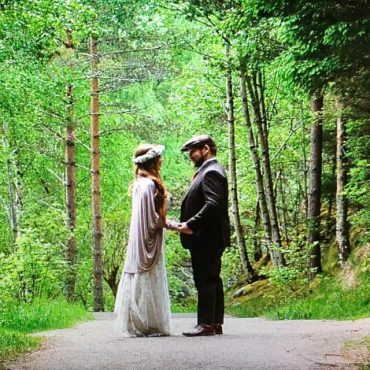 I had my wedding dress made by Lucia in 2015 and it was absolutely perfect and stunning! I apologise for such a late review but I was just looking through my wedding photos and thought I should find Larimeloom on Facebook and thank Lucia again. 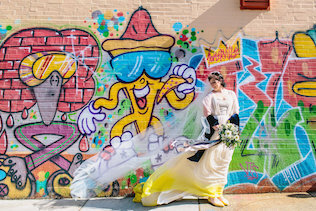 My wedding dress was everything I could have hoped for. Lucia was a great communicator while she made the dress and asked specific questions to create exactly what I envisioned. It was a very easy and smooth process. My dress fit perfectly and I felt so comfortable and confident in it. The fabric and stitching were excellent quality. She is so gifted! The dress arrived on time and it was beautifully packaged. 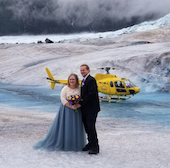 At the time of the wedding, the dress traveled well to my destination and did not wrinkle. Lucia truly contributed to making our day feel extra special. 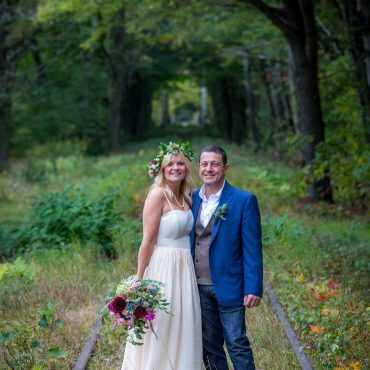 Whenever I look at my wedding photos or dress, I feel fortunate that it was made just for me. The sash is beautiful and the shop owner, Lucia, is also a pleasure to work with. 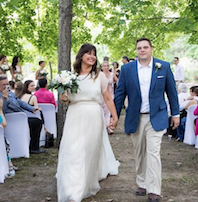 She was extremely attentive and patient, and worked very closely with me to make sure my custom bridal sash was something that I would truly love–and I do love it. I believe if you buy from Lucia, you will not only get an art quality piece, but you’ll also get excellent service (both are too rare). 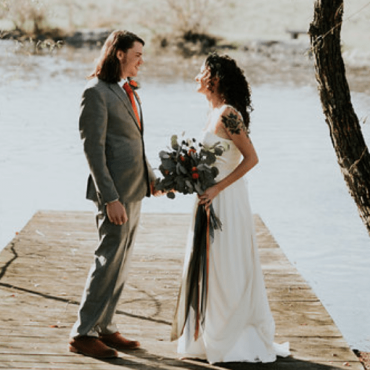 I finally got my wedding photos back and they are GORGEOUS! I wanted to tell you about some meaningful coincidences that occurred around the dress. I’m not a very superstitious person, but I do think it’s important to pay attention to signs when they come your way. I first knew that I had to purchase my wedding dress from you simply because of your name. Maria is the name of my best friend/ maid of honor (she’s the one lacing up the back of the dress in the photo). And Lucia is a name that goes back for generations on my mom’s side of the family. I have a cousin (Lucy) who was also in my bridal party and she’s one of my favorite people on this earth. 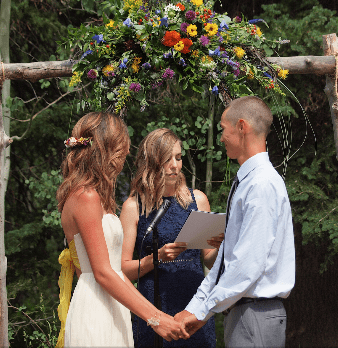 The story behind the family name actually has to do with a wedding! The story goes that my great grandmother was processing through the street of her town in Italy on her wedding day. A blind woman came out of the crowd and asked to touch the face of the bride. Because of that moment, my grandmother became very fearful that her children would go blind, so she named them Lucia and Luke. The name has been carried down since then. The other moment I experienced was after we paid for the dress. My paternal grandmother used to give me a savings bond for every occasion as I was growing up. My dad kept them all for me and we wound up with a large stack of them, but we had no idea how much they were worth because some had matured but others hadn’t. We decided that my grandmother would be happy if we spent this money on my wedding dress, so we took all the bonds to the bank. It took a few days to process, and when I got the final sum, I crunched some numbers (converting the cost from Euros etc. )… and it turned out that the value of the savings bonds was the EXACT same number as the price of the dress. I cried because I felt this was her way of telling me that she was happy to see me spend the money in this way and that she’d be with me on my wedding day, even though she passed away. I thought I should share those two stories with you, since I know you put so much love into your craft. Devoting your time and skill to making women feel beautiful is so worthwhile and important. Your dress truly did make me feel like a princess and I want you to know much I appreciated the whole process. I know that no other dress would have meant this much to me. The dress arrived on Friday. Thank you so much, it fits really well and has a lot of charm and beauty. I’m really happy with this item! It’s such a treat to have something hand made and it arrived in a lovely package. Shipping was fast too and Lucia was lovely and answered all my questions really quickly. Would recommend and only wish I’d found her shop sooner! A giugno mi sono sposata e il vestito che mi ha fatto Lucia è semplicemente splendido, nel taglio, nei tessuti e nella vestibilita’. Ho ricevuto mille complimenti, perché in effetti la sua linea è così originale da rendere il mio abito unico. Io mi sono sentita completamente a mio agio, un un abito allo stesso tempo elegante e prezioso, ma facile e confirtevole da indossare. Lucia è stata allo stesso tempo gentile e disponibile, professionale e anche molto veloce nella realizzazione, combinando in un unico abito, parti di più abiti diversi. Esperienza bellissima, atelier magnifico, per coronare il tutto! Oh my goodness I’m in love! Everything is absolutely perfect and beautiful! Unbelievably comfortable and I love the new shirt. You have been beyond incredible! I was very nervous to order my wedding dress online and have heard some horror stories but I just couldn’t find what I was looking for in stores. After reading Maria’s reviews I decided to check out her shop and I’m so glad I did! During the dress making process Maria was always quick to reply and was open to my ideas. She was flexible with my time schedule, emailed me photos of the dress after she made it, and sent it to my house very quickly. It fits perfectly and I can’t speak highly enough for the craftsmanship that went into my wedding dress. I’m so excited to wear it on my wedding day this August. I love the way it drapes! Best part is I get to keep wearing it after the wedding! Thank you for selling exactly what I was looking for! I just put on my dress. It is absolutely beautiful. You are such a talented designer and seamstress. The fabric is luxurious, the subtle blush color is just lovely, the shrug fits perfectly and is so pretty the way it gathers at the sleeves. Even the box it came in and the handmade card were special. The lace top and silk camisole are beautiful. They fit perfectly and are of fine quality. Lucia was wonderfully responsive and it was fun working with her. This dress could have not been more perfect for my wedding. 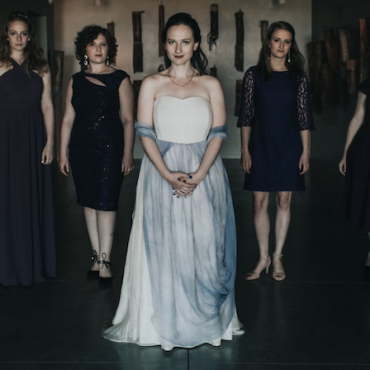 It was ethereal and exquisite, not to mention Lucia was able to whip this up in about 3 weeks with a rush order. (That also includes her amazing hand dip-dye work). I took my measurements with the help of my fiancé and sent them to Lucia who made me a dress that fit to the tee. She let me pick the length of the train and let me have input on the way she dip-dyed the bottom even though she had never done it the way I was suggesting before. Moving in this dress feels like walking on air. The fabric pools and catches the light in the most beautiful ways. The corset was also great for giving me good posture for photos and the dress overall was very comfortable. This dress really was the design centerpiece for the whole wedding. You will not regret working with Larimeloom! I am so in love with my dress, I cannot wait to wear it at my wedding in July!! This was such an easy process, Lucia was very prompt in her responses to my million questions and the construction of the dress is just fabulous!! I love this designer! She is like talking to a friend who is genuinely invested in making you feel and look amazing in her clothes! I wish she could design my whole wardrobe!!!! I’d give more than 5 stars if I could!! Lucia is amazing to work with. The material is absolutely fantastic, it’s light and easy to wear. I received the dress 2 weeks after order – super service! Words can’t explain how pleased I am with my bespoke wedding outfit. Lucia you truly are an artist. You created my dream with a few conversations and measurements. I wish you peace and love and every success in all you do! The dress is an absolute dream. Lucia has simply outdone herself and I can’t wait to wear it in 6 weeks! From being quick to respond to messages, to photo updates as the dress was being made, to customising the details, she goes above and beyond with her customer service and her talent! Could not have asked for a better experience! Will post photos after the big day! for your time and communication to ensure everything was spot on, and for your speedy shipping and quality work. Couldn’t be happier, thank you? Lucia was quick and very helpful in our communications. I bought two halter tops to wear as a nursing mama and I LOVE them. Beautiful fabric, simple and elegant and easy to feed my bubba girl. I also bought a wool skirt. It’s beautiful. And I can say these items will go the distance in my wardrobe for years!!!!! I will be a repeat customer for sure. I can’t thank you enough for making the dress of my dreams. Working with you was such a unique pleasure and the quality and beauty of this custom dress surpassed my highest expectations. Every time I look at it my heart beats wildly, and I can’t wait to wear it for my wedding. I highly recommend this shop and look forward to coming back for more! this is the most beautiful dress I’ve ever seen! It’s even more stunning in person – and so comfortable. The layered silk is light and soft and moves beautifully, and the colors are gorgeous. Lucia is a true artist. You can tell she puts a lot of love and care into her craft. Every stitch in this dress is lovely. I can’t wait for my fiancé to see it! We just received our daughters wedding dress, and it’s absolutely stunning! Our daughter chose to have the dress dipped dyed so the bottom would be hombre lavenders. The dress fits her perfectly. Thank you so much for making our daughters dress so beautiful and it will cause everyone’s head to turn. So cool and feel so confident even with my curvaceous self! This is my first shirt by larimeloom and it won’t be the last. My boyfriend chose this particular shirt as a birthday gift but any of her shirts would have been equally as beautiful. 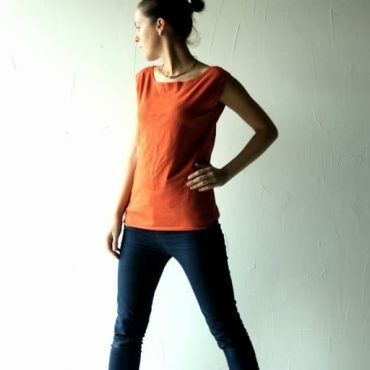 It is flattering and comfortable and so well made with a beautiful material. I hope to add more pieces to my collection! Received quickly even before considering it was made to custom measurements! The shoulder details are really striking when seen in person. Lovely and perfect for summer. Couldn’t be happier with my custom dress! It fits perfectly, the craftsmanship is beautiful and the materials are just gorgeous. So very pleased, thank you!! I absolutely love my blouse! I chose the white and have now worn it on two separate occasions. The blouse is very well made and so stylish that I have worn it with jeans and boots on one occasion and with a pencil skirt on the other. It is such a comfortable design and the fabric is very soft. I really like the fact the the blouse is very easy to clean and retains its shape beautifully. Shipping was very quick and I received my blouse a full week before I was able to leave feedback. I would definitely recommend this seller to others and am saving my money for another blouse!!!! This dress is more than perfect! I cannot believe how it came all the way from across the globe and fits like a glove. My wedding is still not for several months, but I keep trying my dress on because it feels so great to wear and makes me feel like a princess. I will share photos from our wedding once we have them. Thank you so much for the care you have taken and for making our special day even more special. Super comfortable sweater, warm and soft, just a pleasure to wear. Also, awesome customer service, thank you so much larimeloom! It arrived quicker than expected and I can’t wait to wear it on my wedding day! I couldn’t believe this only took 4 days to ship from Italy to California in the USA! And then, once it arrived, I could not believe how beautiful and absolutely perfect it is!! Lucia was incredibly easy and wonderful to work with. I could not be more pleased with this gown and I cannot wait to wear it on the big day!! I was slightly nervous it wasn’t going to fit exactly right since I had measurements taken and then given to Lucia, but due to her thoroughness of specific measurements, it is exactly perfect!!! This gown flows perfectly with my movement and I cannot wait to wear it in the forest at our ceremony!! Will post photos once I get them from the photographer! Thank you so much for creating this beauty for me, Lucia. I genuinely appreciate it. I bought this in white and I love it! It is comfortable and versatile, and of quality fabric and workmanship. The only issue is that, as a woman with large bust size, it sticks out a bit around the sleeve opening, but it isn’t too bothersome. The dress is completely that, what I imagine. I’m looking forward to wear it as a bride in some weeks. The communication with Lucia is totally easy special wishes are quite no problem. 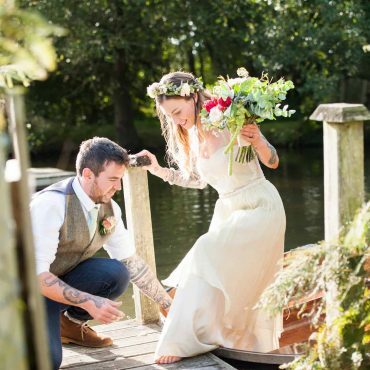 I’m so happy to choose the unusual way to buy my wedding dress online-it couldn’t be more perfect! his is my second purchase with Larimeloom and everything was perfect! Great design , clear cut , simple is classic. I ordered a bit longer and loser than the preparation one and it came just as what I wanted. Fantastic hand stitched roll hem and fine silk, I couldn’t love it more! As soon as I touched the fabric I could tell it had been made with love by a real artist. It fitted just as it should and it was beautifully wrapped. The only problem was that it took an extra day to ship…I was getting anxious! Other than that, nearly all my worries about buying online for a matter of such importance have gone away with this positive experience. Words can not fully express my happiness with my wedding dress!! It was better than I could have imagined. I wanted something that felt like me, I didn’t want to be masked with the usual bridal glitz and glitter. I felt naturally beautiful, the dress was like a second skin. The dress is very light and comfortable it truly feels as nice as it looks. 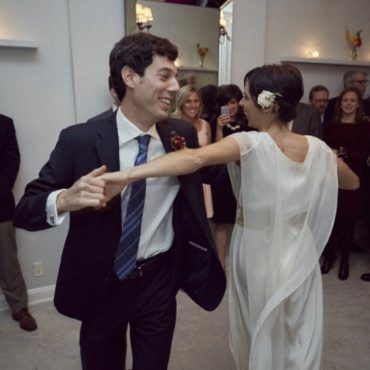 My favorite thing about this dress was how to flowed and twirled when I danced, it moves with your body! I felt like myself in this dress, it was a perfect for me. Also the artist, Maria, seems like a sweet, sweet soul! I cannot describe how absolutely gorgeous this dress is! It fits perfectly and it looks just like the photo, only even better if that’s possible! Beautiful design, beautiful craftmanship! Really an exquisite piece. I think we will be seeing this designer on the Paris runways soon (and I am talking fashion, not airport!) Thanks!! Finally got to wear this absolutely gorgeous gown for my wedding on Friday. abito elegante, semplice come lo volevo io. Perfetto nelle linee. Complimenti Lucia e grazie per la tua disponibilità! Initially, I was nervous about purchasing a custom made item from an international seller but my experience could not have been any better. I provided the seller with my measurements and she custom made this beautiful tank. Quality is great, shipping was very timely and seller’s communication was second to none. I would order for her again in a heart beat. Very reasonably priced for what you get.